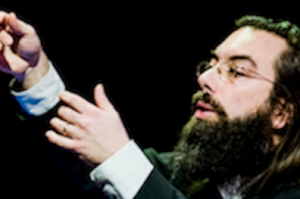 erda | accentus supports the work of accentus, the internationally reputed chamber choir, the students in vocal performance at the Paris conservatory (CRR), the European tenso programme and the recently founded Insula orchestra, specialised in period instruments. erda | accentus has set itself three main objectives : production, with no fewer than 21 different programmes in 2013/2014; education, via its diversified educational and cultural initiatives; and finally research, an area in which the tenso programme is a major driving force. The choir, founded by current conductor and artistic director Laurence Equilbey, is dedicated to the performance of the major a cappella works as well as to contemporary repertoire. Recently rated by Gramophone Magazine as one of the top ten choirs in the world, today accentus is an ensemble of 32 professional singers performing at the highest artistic level. 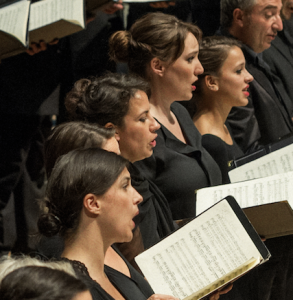 The choir appears at the leading French and international festivals and regularly collaborates with prestigious conductors and orchestras. Insula orchestra, founded by Laurence Equilbey and the Conseil general des Hauts-de-Seine in 2012, has reached out beyond its homeland on the western edge of Paris to the rest of France and beyond, performing at major venues and high-profile festivals. Insula orchestra’s artistic project is built around a repertoire ranging mainly from the Classical to the Romantic eras. The orchestra plays on period instruments, working on sonority appropriate for today’s large concert halls. The département supérieur pour jeunes chanteurs | CRR de Paris was founded in 2002 by Laurence Equilbey. Its teaching staff of 30 provides training to 50 students in 15 disciplines including vocal technique, musical training, style, theatre, chamber music, choral music, and dance. Its Paris youth choir is a chamber choir that was directed by Laurence Equilbey and Geoffroy Jourdain from 2002 to 2010, and is now in the hands of their successors Henri Chalet and Olivier Bardot. Its repertoire includes major a capella cycles, and it also regularly works of contemporary music. 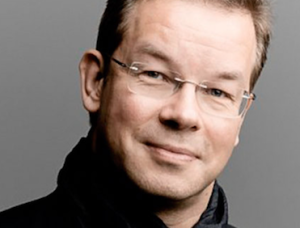 Launched in 2004 by Laurence Equilbey, Daniel Reuss and Geoffroy Jourdain, tenso is a European initiative that unites several European choirs. Its aim is to develop vocal art, exploring the heritage of vocal works, taking them out to the broadest possible audience throughout Europe, and at the same time supporting the creation of a new repertoire. Embracing the musical community as a whole via an active policy of mediation (Web, resource networking, etc. ), tenso creates a strong trans-European dynamic around the vocal arts.